Trust Your Dog Training is highly personalized dog training that strives to be respectful of both the dog and owner. Positive reinforcement is used to get desired results quickly, efficiently, and arguably more reliably than with other methods. Both classical conditioning and operant conditioning (clicker training) are utilized to create personalized training plans that will work for you! 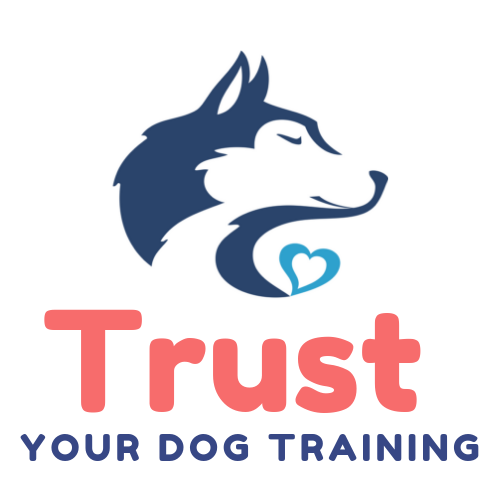 At Trust Your Dog Training we don’t use shock collars, pinch collars, choke chains, intimidation, dominance myths, or fear to stop unwanted behaviors. In fact, the training is so focused on being proactive even mild corrections such as, turning your back on a jumping dog or the word “no” are often unneeded as well! Amy grew up in Connecticut. Her family raised various animals and Amy participated in 4H with her goat, William, and in local dressage shows (horse shows). She volunteered with the Connecticut Special Olympics in Speed Skating and played ice hockey with various women’s leagues. In 2005, she graduated from the University of Vermont with a bachelor’s degree in Nursing. She moved to Colorado to begin her nursing career on a Medical/Surgical Telemetry Unit and quickly moved to working in an Intensive Care Unit. She loved meeting and caring for people but found it difficult to work within a broken healthcare system. In 2008, Amy met Evey on PetFinder and Evey immediately became part of the family. Evey taught Amy and the Creaven Family so much about animal training and communication in general. Because of Evey, Amy decided to help others gain the same results and relationship with their pets. Together Amy and Evey attended the Karen Pryor Academy for Animal Training and Behavior in 2010 and graduated with honors. 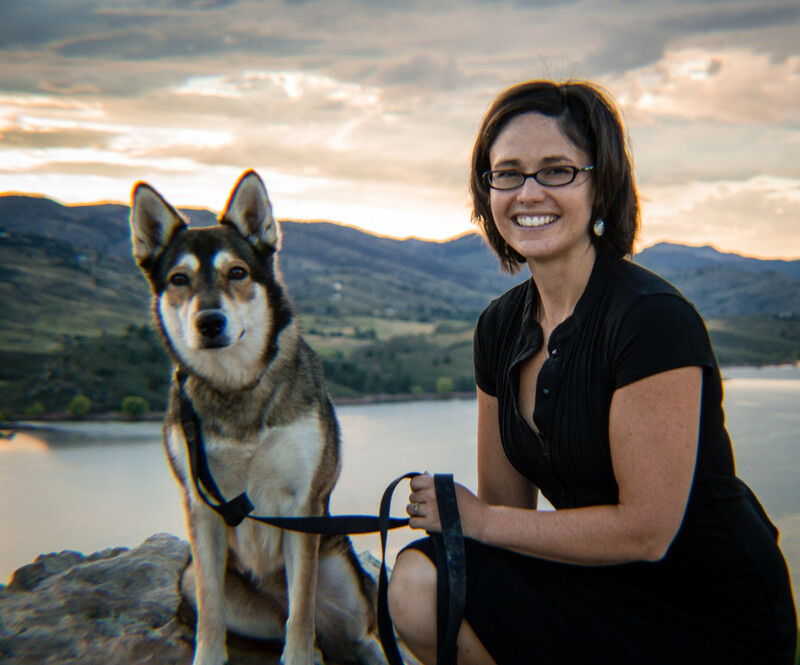 In January 2011, Amy joined the Training and Behavior Staff at the Humane Society of Boulder Valley (HSBV) and left nursing. At HSBV, Amy worked with various canine and feline behavioral issues both in the shelter animal population as well as in the public. Amy worked with many dogs that showed resource guarding behaviors, fearful/aggressive behaviors towards both dogs and people, showed body handling sensitivities, and separation anxiety. Amy also taught a broad spectrum of training classes including; basic manners, impulse control, dog reactive, and sporting classes. In 2013, Amy earned her primary certification in TAGteach. TAGteach stands for Teaching with Auditory Guidance. Most suggest that TAG is simply clicker training for people. However, it is so much more than that. TAG helps teachers communicate clearly and effectively with a learner which speeds up the learning process and decreases overall frustration. Currently, Amy shares her home with her loving and supportive husband, her 5 y/o daughter, infant son, Evey an 11-year-old Husky Mix, and Moya a 1-year-old Australian Shepherd. I’m a strong believer that you never “know it all”. Every day I learn something new and so I choose to participate in ongoing education opportunities in addition to collaborating with others who also participate in continuing education. You can always trust that if I don’t know the answer I am willing to find someone who does.